The inaugural SCENOGRAPHIA took place November 2nd-3rd, 2018 at the Merchandise Mart in Chicago! Three drafting teams “Live-Drew” large (~9’x12’), regionally-themed architectural murals over the course of two days. The event was designed to celebrate the living art of Architecture and to raise awareness about the beauty and importance of traditional hand drafting in our increasingly digital world. Click here to see images of the event. 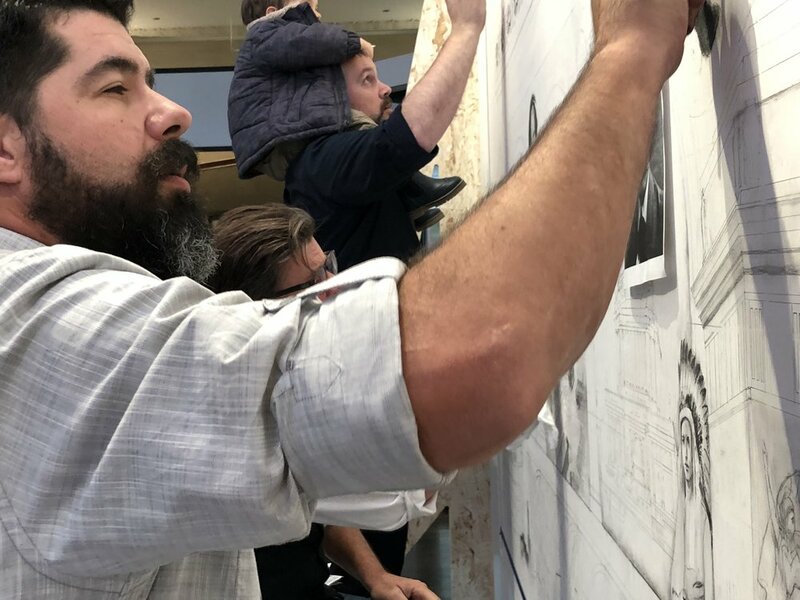 Domiane Forte, Steve Shriver and Matthew McNicholas (+1) live-drawing a mural at SCENOGRAPHIA 2018 in Chicago.